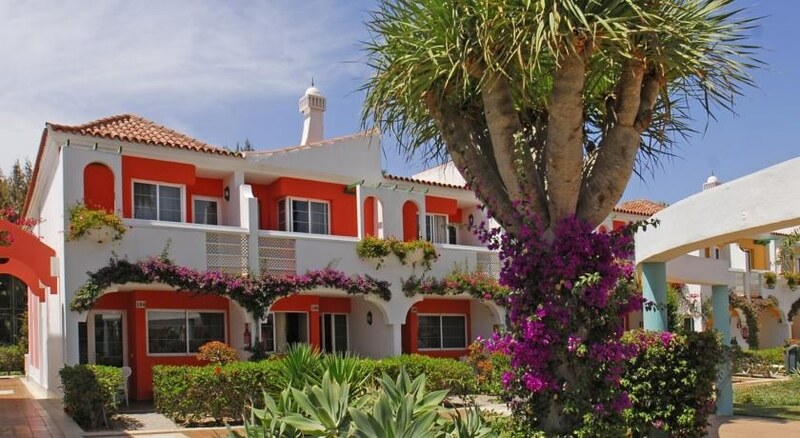 The Cordial Green Golf Bungalows enjoy a fabulous location right next to the Maspalomas golf course with low rise picturesque buildings giving the complex a village feel centred around a gorgeous swimming pool. Holidaymakers will find a good shopping centre nearby and a free shuttle bus operates from the complex to the beach and Playa del Ingles where there is a selection of cafes, restaurants, lively bars and a variety of nightly entertainment. Offering a range of facilities, services and amenities in a relaxed friendly warm atmosphere the Cordial Green Golf Bungalows is the ideal spot to enjoy the endless hours of island sunshine and to unwind in a scenic location. 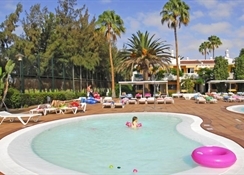 The staff here are dedicated to your holiday enjoyment so grab yourself a great value for money deal and book your next holiday at the Cordial Green Golf Bungalows in the Canaries. This property is 18 minutes’ walk from the beach. Offering free transfers to Maspalomas Beach and Playa del Inglés. 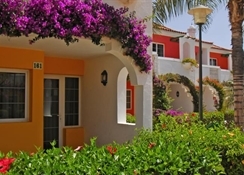 Bungalows Cordial Green Golf is located next to Maspalomas Golf Course and sand dunes. Las Palmas Airport is a 20-minute drive from the bungalows. The Cordial Green Golf Bungalows features well-appointed spacious and comfortably decorated rooms that come fully equipped with seating area, kitchenette, full bathroom, satellite/cable tv, in room safe, telephone, air conditioning/ceiling fans. Extra linen, towels, bedding, infant cots and ironing facilities are available on request. All bungalows enjoy a furnished balcony/terrace offering views across the complex and surrounding area. 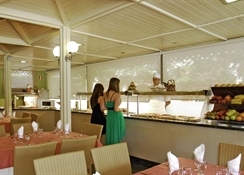 A buffet restaurant serves all main meals featuring local, national and international dishes, alternatively there is an a la carte restaurant (reservation required), lighter meals/snacks are available from the café/bar poolside. Drinks are served from the lobby bar and the poolside café/bar. Regular evening entertainment includes live music and shows several times weekly. Central Maspalmoas is only a short walk away where you can find an abundance of great bars and restaurants if you want to eat or drink somewhere else. For a great day out with fun for all the family take a trip to Palmitos Park enjoying a beautiful setting in lush tropical cultivated gardens. Here you can see animal shows, bird shows, butterflies, picnic areas, orchid house and so much more. The staff at recreation can help with any further information on the various excursions that are available in the surrounding area. Two outdoor swimming pools (1 heated in winter), spacious sun terraces with sun loungers and parasols luscious gardens are some of the defining features of the Cordial Green Golf Bungalows. Sporting amenities and activities are available nearby for hire/rental including golf, cycling, sailing, snorkelling, parasailing, horse riding as wel as hiking so there is plenty to keep you occupied during your stay here. Absolutely fantastic from start to end. We stayed for two weeks. I was so pleased with our room. It was modern , clean and well equipped. The pools were brilliant perfect for my 8 year old. They were cleaned everymornimg and the life guards were very friendly and always watching over the pool. We ate in the restaurant several times. Breakfast buffet was delicious the little sausages were amazing.The al a carte evening menu was good and the buffet was always fresh and hot. We had the bbq twice and thoroughly enjoyed it. The staff very friendly and helpful. I had WiFi reception all over the hotel and could stream movies without interruption. Great location for everything in walking distance to beach but a cheap 5€ taxi if you prefer.